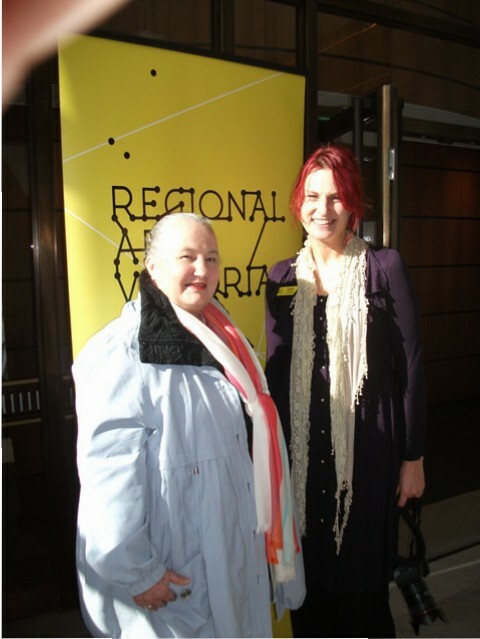 April this year, 2015 – I become a member of Regional Arts Victoria (RAV). 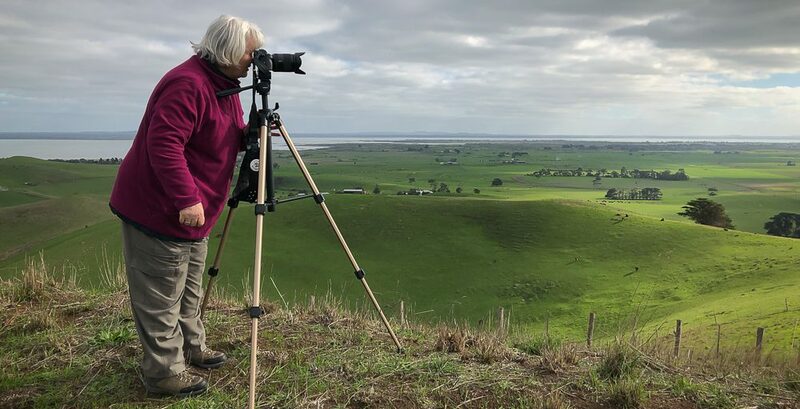 They “inspire art across the state of Victoria through creative facilitation, touring, education, specialised resources, artistic projects and advocacy (RAV 2015). They develop and sustain creative communities and artistic practice” all over Victoria, Australia (RAV 2015). 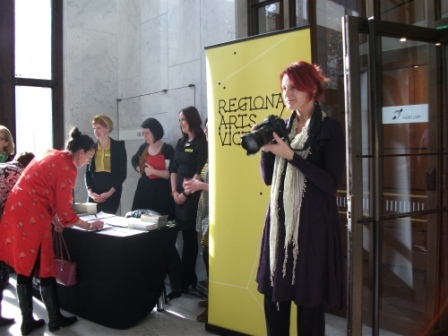 Regional Arts Victoria are an “independent, not-for-profit, membership-based organisation working in long-term partnerships with every level of government, fostering contemporary and innovative regional cultural practice across five decades (RAV 2015) . They advise and impact on decision-making across multiple portfolios and levels of government. The organisation is the peak body for regional artists and arts organisations, and the leading organisation for regional creative practice in Victoria, Australia” (RAV 2015). 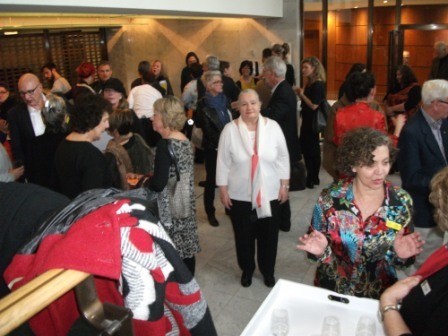 On Saturday 30th May, 2015, Regional Arts Victoria had their yearly annual Members’ Celebration which was inclusive of their Annual General Meeting at the prestigious State Library of Victoria Theatrette on Lonsdale Street, Melbourne – Australia. It was well attended by RAV members, partners, Board Members, Esther Anatolitis – Director of RAV, RAV staff and community members. A number of events covered during the afternoon where: (1) Annual General Meeting reflecting on 2014’s inspirations; (2) the launch of our Small Town Transformations book with special guests from Avoca, Dookie, Natimuk, Neerim South and Ouyen, as well as the Hon Martin Foley MP, Minister For Creative Industries, and Ted Baillieu, former Premier and Minister for the Arts; (3) and the announcement of the winner of the Joan and Betty Rayner Commission, an initiative of the Australian Children’s Theatre Foundation in partnership with Regional Arts Victoria (RAV 2015). SLIDE-SHOW: Regional Arts Victoria’s Annual Members’ Celebration and AGM at Victoria’s State Library Theatrette, Lonsdale Street, Melbourne Australia – 30/05/2015. Back in April this year 2015, Amanda Gibson, one of RAV’s Creative Arts Recovery facilitators, kindly came out to my home studio to visit me. We spent some time talking about my paintings in preparation for my solo exhibition for May/June 2015 at Gee Lee-Wik Doleen Gallery and their painting stories; and about my arts practice. So it was another good opportunity to catch up with Amanda at this event. Amanda’s responsible for the Mitchell/Macedon/Hume Region of Victoria, Australia where she supports creative recovery in disaster affected communities within these regions (RAV 2015). Amanda’s role as a key arts catalysts within this region, works closely with artists, communities and local government and help keep communities informed of key arts opportunities and development as well as supporting arts policy development (RAV 2015). It’s a big role that Regional Arts Victoria (RAV) plays across the state of Victoria, Australia which assists, in keeping the arts alive, within these communities; and helps community members rebuild lives and townships after devastating bush fires have swept through their homes, their lands and their lives. Art for therapy at its very best I feel…. This entry was posted in Organisation Memberships and tagged Abstract Painter Blogger, Amanda Gibson, Esther Anatolitis, Hon. Martin Foley MP, I do art Karen Robinson, Joan and Betty Rayner Commission, Karen Robinson Abstract Artist, Minister for Creative Industries, RAV AGM, RAV Members Celebration, Regional Arts Victoria, Small Town Transformations, State Library of Victoria Theatrette, Ted Baillieu by idoartkarenrobinson. Bookmark the permalink. Very nice celebration Karen! Best, Tânia.